I’ve been off the grid for a bit, partly because of spending a week at the NorCal Pastor’s Retreat. This retreat, by design, was retreat from everything resembling a normal, daily routine, including cell phones, text messages, internet service, television, indoor plumbing, private bathrooms, etc. For me, the retreat also served as a kind of metaphor for the Christian faith. On the drive in to this mountainous area of northern California, I was struck by how precisely the drive mirrored the Christian’s pilgrimage through life. Not only are there a great many folks visiting San Francisco, but there are also tons of people living there. So, I drove north toward the mountains on a crowded U.S. 101. The further north I drove, the less crowded the roads became. Still, U.S. 101 is a freeway in California. Therefore, it was still crowded with residents and visitors heading into and out of the beautiful wine country of Marin, Sonoma, and Mendocino counties. Once I left the freeway, however, the crowds diminished severely. The road from U.S. 101 to Potter Valley, CA, is as unpopulated as, say, the road from Dry Prong to Tioga in the rural center of Louisiana. As it turns out, not all of California is crowded. Anyway, leaving the freeway focused more sharply the lesson this trip offered for Christian living. First, the retreat was accessible only to the determined. It was not located in a place which one might “happen” to see. A sign at the last intersection before heading up the hill made the point plain: “No Outlet.” As Christ taught is disciples that the kingdom life is one in which both hands would be fixed to a plow looking forward (Lk 9:62), so, too, this sign made clear that one need not hope to simply wander through or pass by this retreat setting. There was no way out. Those who say they “tried Christianity, but it didn’t work,” prove only that they were never on the kingdom way. They prove, as John says, that they went out from us because they were not of us (1 Jn 2:19). 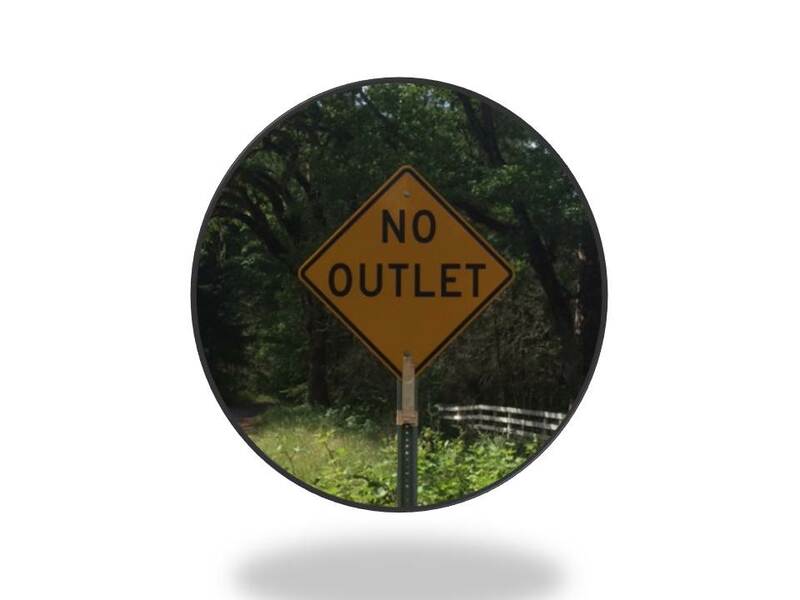 Maybe in our discipleship, we ought to tell would-be Christians that the road begins with a sign that says, “No Outlet.” One is either “in Christ” and “on the way,” or he is not. The beginning of the journey in the sought-after Bay area of San Francisco ended in this remote, desolate wilderness with no one around. The road was already small and unoccupied, and, yet, it was still getting smaller, and more narrow, and less traveled. Christians need not wonder that they often feel alone. 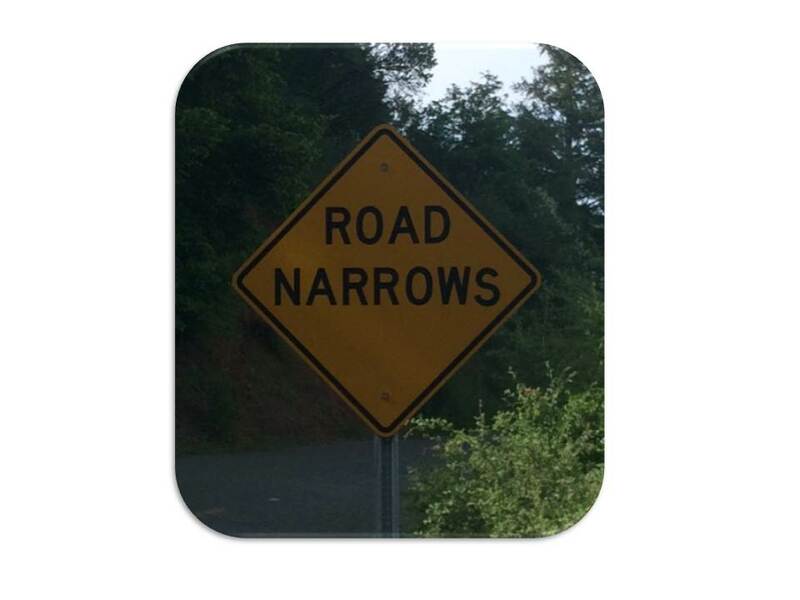 They are on the narrow way of life. As the road narrows, the crowds shrink. Finally, the road itself not only narrowed but became rough and more difficult to traverse. 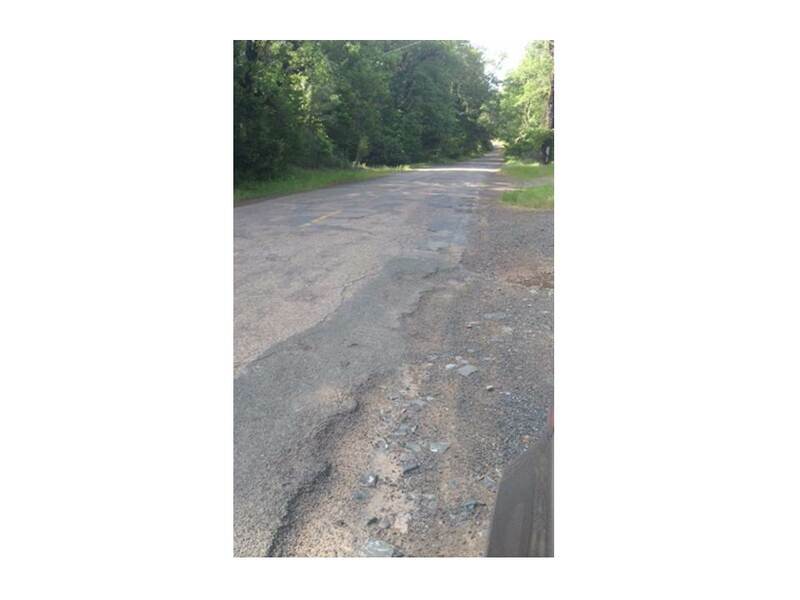 There were potholes and washouts along the shoulders. Eventually, the patchy asphalt gave way to gravel and dirt. By the end of the journey, the road simply disintegrated into the retreat setting, a quaint, rustic Bible camp complete with outhouses and dinner bells to ring in campers three times a day for a hearty meal. through many tribulations we must enter the kingdom of God. This entry was posted in Christian Living, Persecution and tagged Acts, Christian Living, discipleship, Jesus, Narrow Way, paul, Persecution, Tribulation. Bookmark the permalink.